Greetings! Scarywood has officially begun for the 2018 season. The creatures are lurking, the leaves have begun to fall, and the strange noises in the woods are getting louder. Every frightening thought from your nightmare have arrived, and are just waiting to meet you at the front gate. With that being said, we understand that most guests have been waiting for this event all year, so here are some tips and tricks on having the best experience possible. Before you head to the front gate, purchase your tickets in advance. Not only will you save money, but you can skip the line at the ticket window. There are two ways to do this. You can either purchase your tickets online at http://www.scarywoodhauntednights.com/ to save $4 or you can book a group. You’re safer if you travel in groups, right? Even if your not, you can qualify for a discount if you come with 25 or more people. Call our group sales team today to book your team building group, fraternity reunion, or a friend encounter in the fog. To request information about booking a group to Scarywood, head here or call them at 208-216-4300. With so much to see and do, we recommend that you visit the park on one of our least busiest nights in order to experience everything… you know… with it being the last night of your life in all. Scarywood consists of 5 haunted attractions, 7 scare zones, and most of Silverwood’s signature rides in the dark. Try to survive the night because you’ll be lucky to make it out alive. 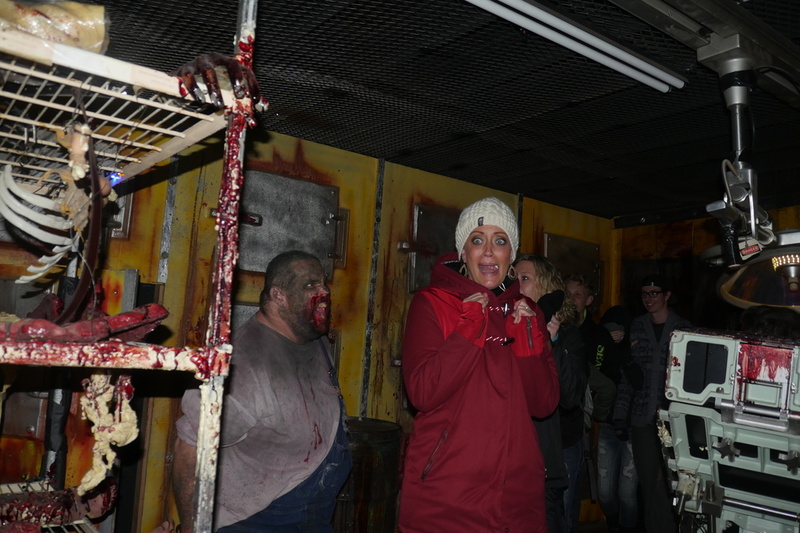 Scarywood is open on Thursdays from 7:00 pm to 11 pm and on Fridays from 7:00 pm to 12 am. October weather in North Idaho can be unpredictable. It can range from warm and clear to cold and rainy. Make sure to check the weather before your upcoming trip and overpack. We are open even if it rains, and It’s easier to leave a raincoat and gloves in the car instead of being uncomfortable without them. If you do happen to forget something, purchase a Scarywood sweatshirt at one of our retail stores. It would be the perfect way to remember your fall trip. 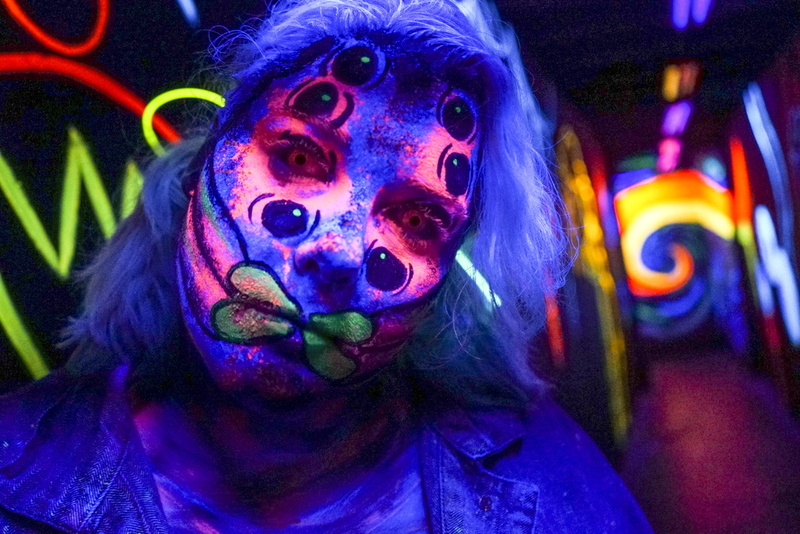 We also wanted to remind everyone that costumes, masks or face painting are not permitted in Scarywood to ensure the protection of our actors and guests. As the night goes on, more and more guests arrive. Our advice is to arrive before the gates open in order to get the most out of your admission ticket. This is also another great way to avoid lines. The gates open at 7 pm on Thursday, Friday, and Saturday. This will also give you the chance to take a picture with one of your favorite frightful friends. If you have been counting down the days to see the newest attraction, or dying to ride Timber Terror backwards, head to those places first. The lines might get longer as the night goes on, so heading to your most anticipated attractions first will ensure your spot in line. If catching the NEW magic show, Dillusion, is on your to do list, then you’re going to want the show times. Due to adjusting times based on crowds, check the marquee at the Theatre of Illusions to see what the show times are for that night. This way, you will be able to plan out your night and come back to catch the show. You will definitely want to arrive early to get a seat. Once you purchase an admission tickets, you have access to all of the rides and attractions that are listed on our website. If you wanted to grab a bite to eat or purchase a souvenir, then bring a little extra spending money with you.There is also a $5 parking fee to keep in mind. So there you have it! If you are a Scarywood fan and have any other additional tips or tricks, please leave them in a comment below. If you are coming soon and have your night all planned out, share it below! As always, we hope that you have a blast!